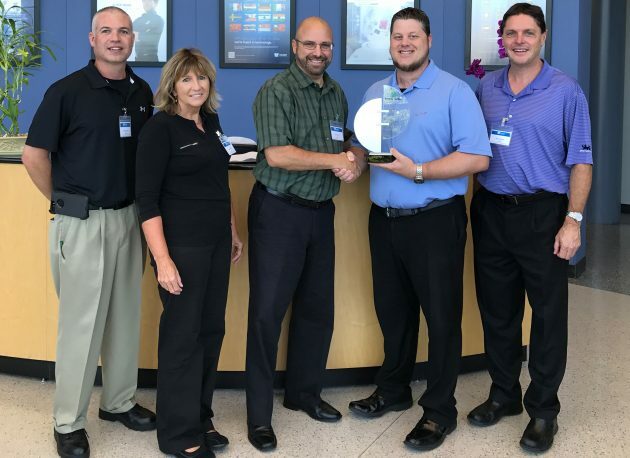 Mouser Electronics, Inc., the authorized global distributor with the newest semiconductors and electronic components, is pleased to announce that Les Balamut, Mouser Director of Supplier Management, has been honored by Neutrik USA with the 2016 Supplier Manager Excellence Award for Lifetime Outstanding Support. Balamut, who has managed the Neutrik line at Mouser since 2009, was cited specifically for a history of outstanding performance, deep knowledge of the Neutrik product line, and overall outstanding support over the years. Balamut joined Mouser in June 2005. He has global responsibility for supplier relationships, selection, pricing and inventory of key interconnect lines. Additionally, he is responsible for developing and executing strategic initiatives for continued and sustained growth. He manages and communicates the direction of the suppliers and ensures understanding across all stakeholders. Neutrik is the leading global manufacturer of professional entertainment connector systems and has developed state-of-the-art connectors for nearly 40 years. Neutrik’s product range includes XLR connectors, plugs, jacks, speaker-connectors, patch panels, power connectors, and special connectors for industrial applications, all of which are available from Mouser. Marketing and Technical Support/New Design. In 2013, Neutrik recognized Mouser with the Outstanding Performance Silver Award and Distributor of the Year Award. To learn more about Neutrik, visit http://www.mouser.com/neutrik.